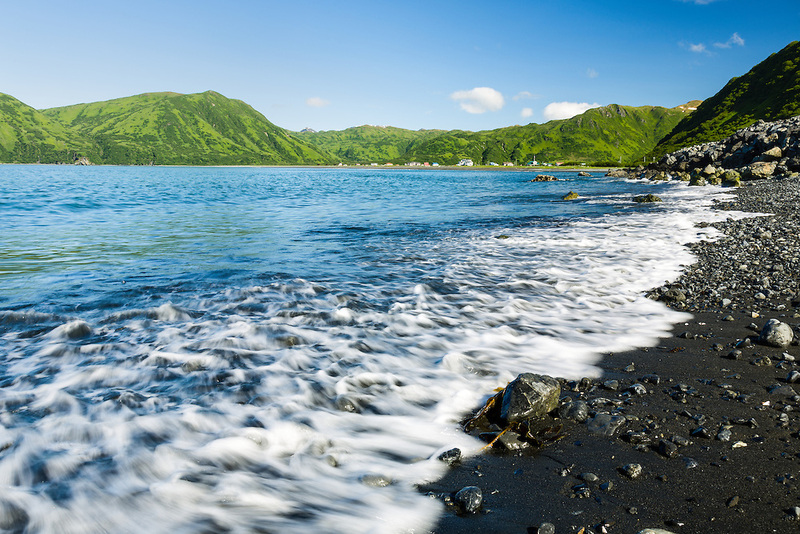 Waves wash ashore at Pasagshak Bay with the village of Pasagshak in the background on Kodiak Island in Southwestern Alaska. Summer. Morning.